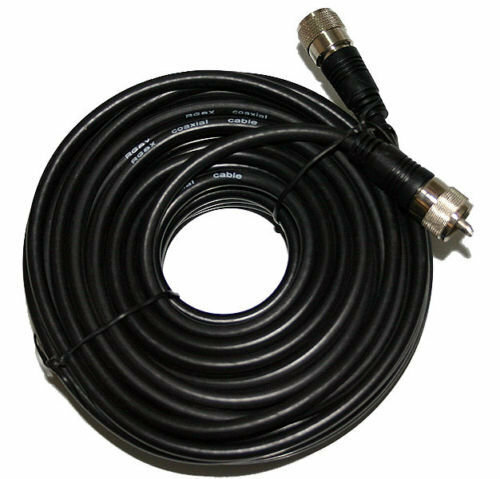 RG-8X male to male antenna cable for ham radio, CB and Short wave listening (SWL). This cable is 50 ohm and 50 feet long double shielded with foil and braid with PL-259 connectors on each end. All the connections inside are soldered and the cable is made of copper conductors with coax having PVC jacket. RG-8X is generally good up to 1500 watts PEP at HF frequencies below 30 MHz.